Fees associated with Croatian PCT national phase entry as well as other patent fees are available in the fee calculator. The time limits for entering the Croatian national phase of a PCT application is 31 months from the date of priority. This term may be restored within 12 months from its expiration. - a description of the invention and one or more patent claims. The official language of the Croatian patent application is Croatian. The application may be filed in any other foreign language; however the Croatian translation must be supplied within two months from entering the Croatian national phase. The official legalisation of the POA form is not required for PCT national stage entry in Croatia. POA must be filed within 60 days upon receipt of the official invitation from the Croatian IP Office. - Request for the patent grant without substantial examination of patent application – consensual patent. If neither of the two requests is filed in due time, the application is deemed withdrawn. The Croatian legislation does not stipulate provisions in respect of novelty grace period for patents. The term for payment of the official grant fee is two months calculated from the date of receipt of the official action requesting the payment of the patent registration fees. Annuities apply for pending patent applications in Croatia. Foreigners must perform a patent prosecution as well as national phase entry in Croatia through an agent, a Croatian patent attorney. 1. Online Search Databases: Croatian Patents, European Patents (EPO). 2. 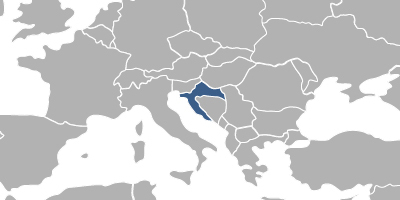 The PCT application in Croatia may also be nationalised via European Patent registration and its further validation in Croatia.